Featuring Lew's exclusive Super Low Profile Reel Platform, the Lew's Mach Speed Spool MCS Casting Reel is one of the lowest profile baitcast reels ever created. 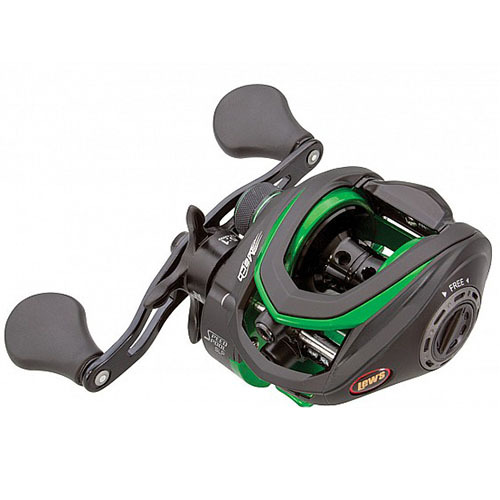 Extremely easy to palm and fish, its strong and lightweight, graphite frame and sideplates provide a rigid base of operations, and its high strength solid brass main gear and crank shaft deliver plenty of power as well. The externally adjustable MCS: Magnetic Control System also allows you to fine tune your casting for a wide range of lures and fishing conditions, and the durable Rulon drag system provides up to 10lb or max drag power. Loaded with features and lower-profile than ever before, the Lew's Mach Speed Spool MCS Casting Reel is a dream to fish.